Elleke Boehmer is Professor of World Literatures in English at the University of Oxford, well known for her research in international writing and postcolonial theory, she is the author of eight books, among them Colonial and Postcolonial Literature: Migrant Metaphors (1995, 2005), Empire, the National and the Postcolonial (2002), Nelson Mandela: A Very Short Introduction (2008), and Nile Baby (2008). Stephen Morton is Senior Lecturer in English at the University of Southampton. He is currently completing a study of colonial states of emergency in literature and law, 1905−2005, and is the author of several books and articles on postcolonial literature and thought, including Salman Rushdie: Fictions of Postcolonial Modernity (2007) and Gayatri Spivak: Ethics, Subalternity and the Critique of Postcolonial Reason (2006). 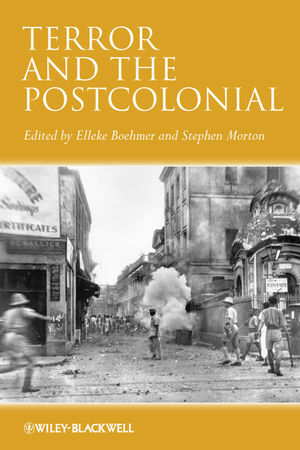 Introduction: Terror and the Postcolonial. Part I: Theories of Colonial and Postcolonial Terror. Part II: Histories of Post/colonial Terror. Part III: Genres of Terror.